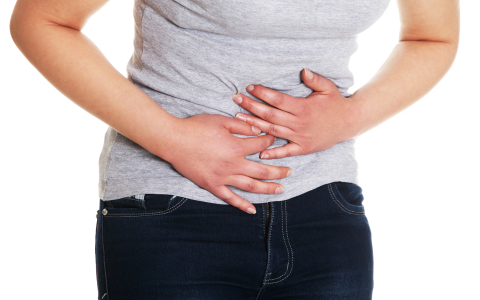 Pain in the abdomen can come from digestive organs (stomach, intestine, liver, pancreas, gall bladder). Sometimes the pain may originate from other organs that are located near (lung, ovaries, kidneys). At a time when everything is done “in rush”, no diet is no different. In many households dry food products full of additives often are on the table instead of meals that are eaten with a spoon. When you add lot of coffee, alcohol, carbonated beverages, stress and fatigue, is no surprise to have pain in stomach. -Menstrual cramps-women and girls in the menstrual age. These cramps usually occur in the first days of menstruation and do not last longer than a few days. -Sharp, localized pain that pierces or cuts may be a sign of very serious conditions such as appendicitis or rupture of the wall of an organ. -Prolonged pain in the lower back may be a sign of the appearance of kidney stones. Visit your doctor for advice. -Pain and burning sensation when you urinate can be a sign of a urinary tract infection. -Cramps that occur while you are eating large amounts of fast food or foods to which you are allergic may be indicators of the reaction of the digestive system. -Muscle spasms can cause cramps while exercising or swimming. Abdominal pain can be acute (short) with sudden beginning or chronic (long-lasting). The causes of pain usually can not accurately be determined (food, nervous tension, taking drugs). However, abdominal pain may be a symptom of some diseases also (gastritis, heartburn, appendicitis, colon cancer, ulcerative colitis, inflammatory bowel disease, constipation, kidney stones, gall disease, lactose intolerance, gluten and other, diseases of the pancreas ). Prolonged pain is the only symptom, which signals that something is wrong and requires a detailed medical examination to determine the cause of pain and heal the disease in a timely manner. To improve digestion and appetite – pepper, ginger, cumin, cinnamon, mustard. If have any pain in abdominal consult with your doctor, make detailed medical tests to determine the cause of pain and implement appropriate therapy.